Begin by preparing your ingredients. Heat oven to 350°F. Grease a 12-cup standard muffin tin. 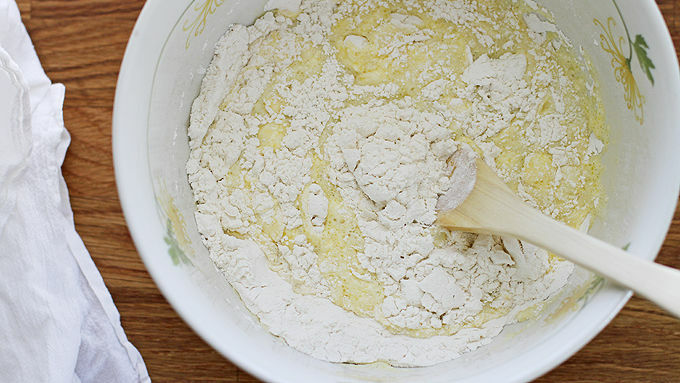 In a large bowl, whisk flour, baking powder, salt and baking soda. In a separate medium bowl, whisk buttermilk, olive oil and eggs. 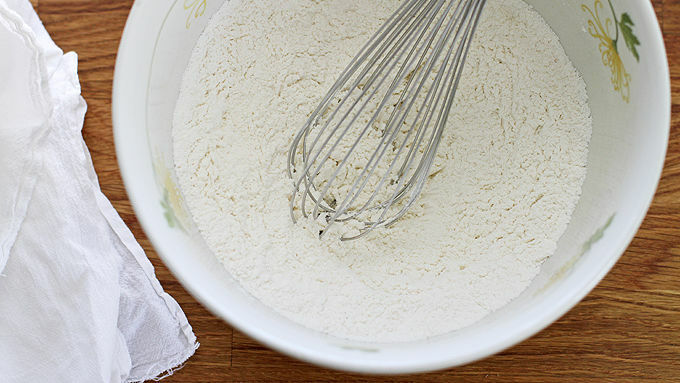 Stir wet ingredients into dry ingredients with a wooden spoon or spatula. 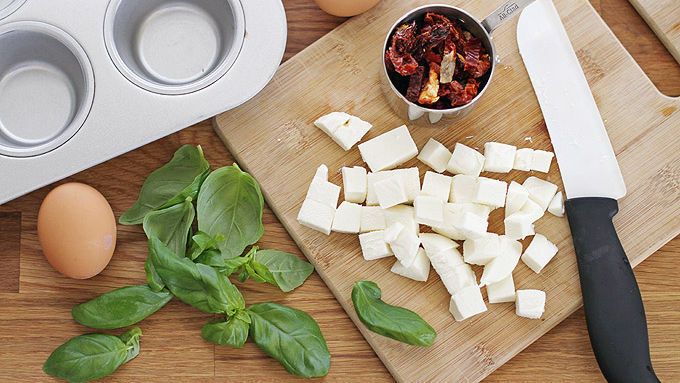 Gently stir in cubed mozzarella, sun-dried tomatoes and fresh basil. Spoon batter evenly into prepared muffin tin cups. Bake 20 to 25 minutes until a toothpick inserted in the center comes out clean. Cool muffins 2 minutes in pan. Run a butter knife around edges of each muffin to loosen from pan, then transfer muffins to a cooling rack. Serve warm or fully cooled. Swap fresh basil for 1/2 cup chopped fresh spinach, if desired. Add a few pinches of red pepper flakes to the batter for a little added spice. 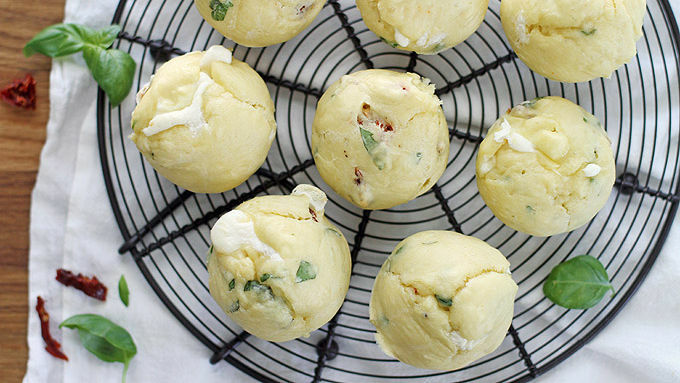 Sun-dried tomatoes, basil and mozzarella make these muffins snack-perfect. Bake them for brunch or a party snack. These caprese muffins go with anything! 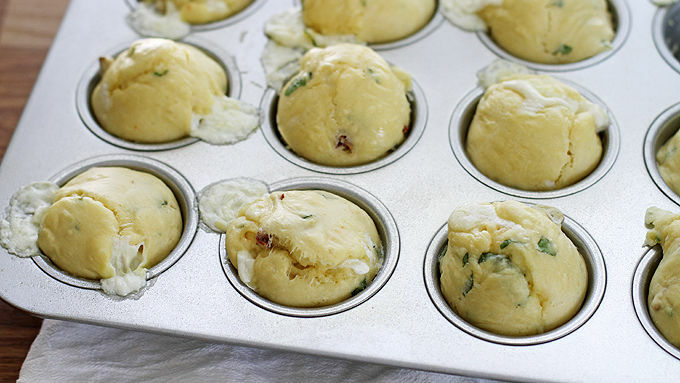 This recipe, adapted from Will Cook for Smiles, mixes fresh basil, tangy sun-dried tomatoes and gooey melted mozzarella cheese to make dense and flavorful muffins. 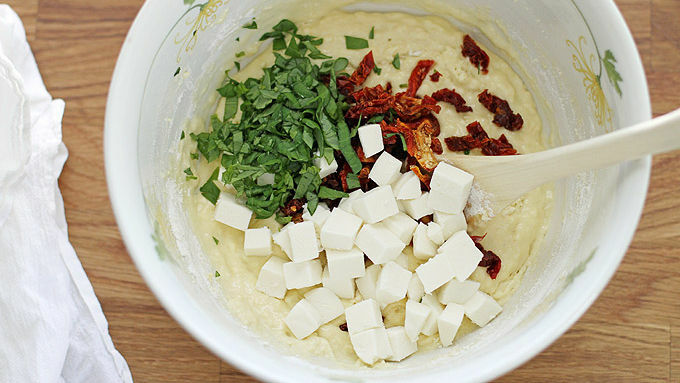 You’ll never want to make a muffin without cheese in it again. I often find myself craving a muffin (come to think of it, this might be all the time). But I also often find myself not wanting a sweet muffin. So I’m torn – do I eat a sweet muffin and chase it with potato chips to get my salt and muffin fix? 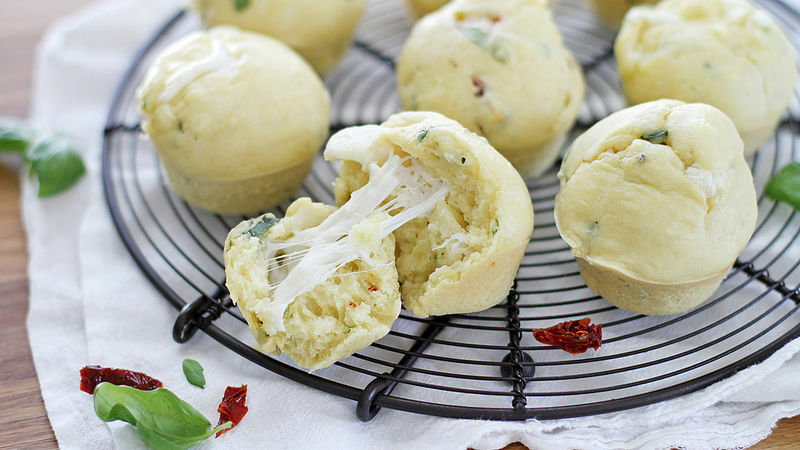 Or do I go the more delicious and efficient route and make these cheese-filled Savory Caprese Muffins of greatness? Thankfully for all, the latter wins out much more often than the former. You see, there's nothing quite like these muffins. They’re soft and dense and pillowy from the olive oil and eggs in the batter, but they’re packed with flavor from fresh chopped basil, julienned sun-dried tomatoes and cubes of fresh mozzarella cheese. When they bake in the oven, the cheese oozes out like a pool of heavenly savory-ness, and after you let them cool for a bit, you open them up and choirs of angels will sing and the sun will shine and there will be cheese, glorious, ooey-gooey cheese. IN A MUFFIN. Serve them as a side with soup or chili, eat them for breakfast with eggs or enjoy one as a savory snack. In any case, you’re about to fall in love.